First published as Il Gattopardo in Italian in 1958. English translation by Archibald Colquhoun published in 1960. 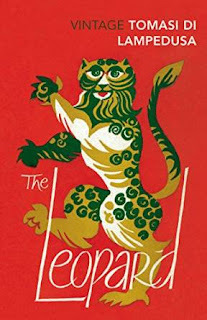 I found my copy of The Leopard in the OXFAM shop in Hailsham months ago and took a while to get around to reading it. I liked the cover art and was interested to learn more about the Garibaldi period of Italian history. The eponymous Leopard, Don Fabrizio, is an Italian aristocrat in a fading family and, through his eyes, we see how family reacts and adjusts to the new political climate. The main arc of the story is a love triangle between Fabrizio's daughter, Concetta, his nephew and ward, Tancredi, and a nouveau riche village girl, Angelica. Tancredi goes off to fight with the Garibaldini, but only ever offstage from the main story and Lampuseda doesn't explore the aims of this army - the reader is expected to already know - so I didn't get my history lesson! I did appreciate his descriptions of the towns and countryside of Sicily, the characteristics of her people and how they have been moulded not only by their unforgiving climate, but also by waves of invaders over the centuries. I felt that the writing came alive far more when about Sicily itself than about the family we were following. They appeared to me as always aloof and detached so I didn't really get into their story and finished the book feeling let down. Scroll down for the new Giveaway! The London Satyr is set in London in the oppressive summer of 1891. Our 'hero', Charles Webster is a photographer by trade, employed by the prestigious Lyceum Theatre to record all their costumes and sets. However, Webster has got himself a sideline in 'lending' these precious costumes out to a master pornographer, the feared Marlow. As Webster's wife attempts to reinvent herself as a spirtualist and medium, drawing as much attention to herself as she can, Webster is desperately trying to prevent both his employer and also the puritans of the London Vigilance Committee from discovering his lucrative secret. 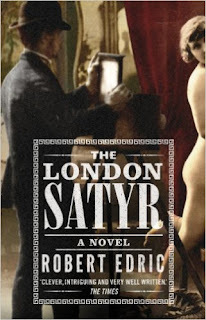 I thought The London Satyr was pretty compelling and as an entertaining holiday read it certainly hits the mark. The atmosphere of Victorian London is vividly portrayed and the main protagonists are all rounded characters. I think the book is pretty accurate historically as well - certainly Bram Stoker was the manager of the Lyceum, home theatre to the great actor Henry Irving. 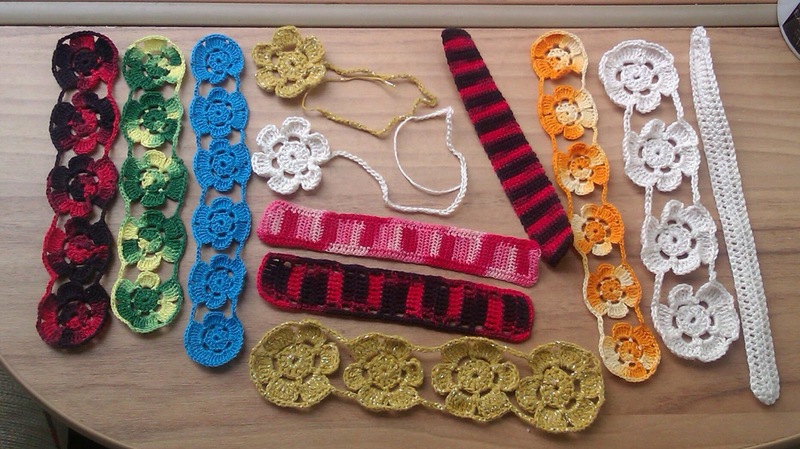 I have a trio of my handmade crochet bookmarks to giveaway simply for answering the following question on this blog post. How easy is that?! Name another book set entirely or partly in London? Comment your answer on this post before midnight (UK time) on the 6th of July to be in with a chance of winning. The winner can choose any three of the bookmarks available on this page of Handmade Bookish Gifts. The Giveaway is open worldwide. Answers must be commented by midnight (UK time) on the 6th July and I will randomly pick a winner on the 7th. The winner will be notified by replying to their Comment so if you think you might miss this response please also include other contact info such as your blog URL, twitter name or FB page. If the winner does not respond within 7 days, they will forfeit the prize. Translated by Andrea Lingenfelter. Published in English by Muse in 2016. I don't think that I have read any Hong Kong fiction before so I was interested to try this highly praised short story collection by Hon Lai-Chu. 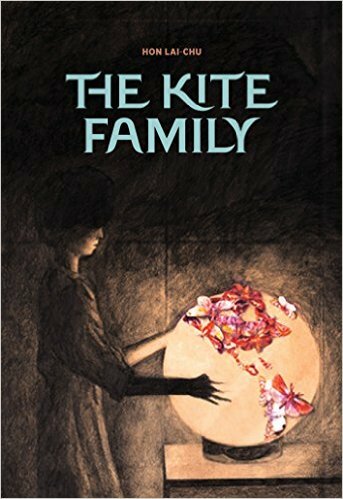 The book consists of six stories including an award-winning novella which gives the collection its name, The Kite Family. Unfortunately, I struggled to understand what the author was trying to say in most of the stories. Forrest Woods, Chair is perhaps the most accessible and, in this tale, a man who is unable to find any other employment trains his body to take the form of various types of chair so he can hire himself out for other people to sit on. Surreal and weird, but I think I managed to comprehend everything that happened. For the final story, Notes On An Epidemic, I understood the general gist - a woman recovering from a type of influenza caused by living alone is forced to cohabit in a pretend family environment in order to recover - but feel as though I missed layers of meaning that were in small details. 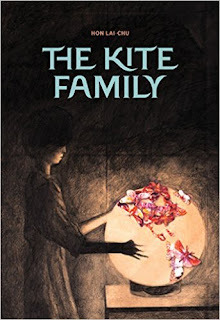 The other four tales were way over my head and, even though I read them slowly from start to finish, I couldn't figure out how their disparate elements connected or what the underlying plot was so found them very frustrating and unsatisfying. Neverwhere, the novel, is a companion novelisation to an original TV series conceived and written by Neil Gaiman and Lenny Henry. Set around the London tube map, Neverwhere is the fantastic story of ordinary Londoner Richard Mayhew. Having stopped to help an injured homeless girl, he finds himself made invisible to the normal London above and sucked into the world of London below. A frightening place of Black Friars and Angels, Ratspeakers and Assassins, the Court of a Medieval Earl and a girl who can open any door with just the power of her mind. Richard must stay alive long enough for Door to find the people behind the murder of her family. Then he might just be able to come home. The story is an amazing feat of imagination with innumerable I-didn't-see-that-coming moments. Gaiman reinterprets famous landmarks in a wonderfully original way which I won't discuss in depth here as it would spoil the surprises but I loved the ideas. I found myself missing Richard and Door, Hunter and the Marquis when I wasn't listening to their tale and actually wishing myself back onto a Stagecoach bus for more commutes so the characters could continue their journey too! Gaiman writes well for realistic female characters and I do appreciate that in his stories women are rarely just adornments to male storylines. Indeed, in Neverwhere, the traditional male-female dynamic is almost totally reversed through Door and Richard. 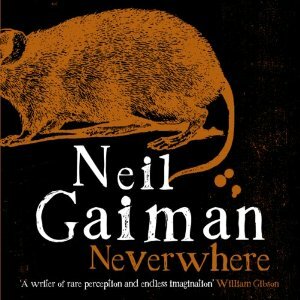 Neverwhere is the fourth Neil Gaiman book I've listened to and he is definitely one of my favourite authors. I also love that he is an excellent narrator. Hearing an author read their own work means you know you're getting exactly the emphasis and tone they meant all the time but, of course, not all authors are good narrators so it doesn't always work out well. First published as Los Nadadores in Spain in 2012 by Editorial Anagrama. English edition translated by Lucas Lyndes and published by Frisch And Co on the 13th June 2016. 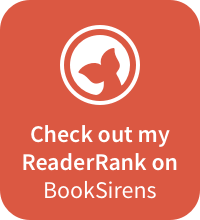 This book is one of my WorldReads from Spain. 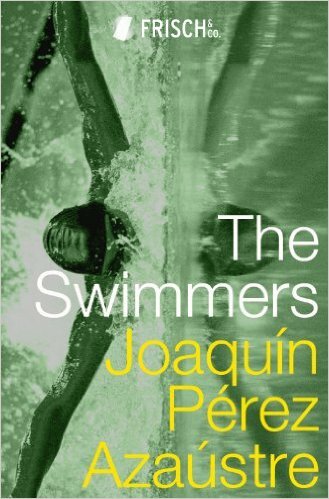 I was disconcerted throughout reading The Swimmers by the thought that I had somehow completely missed the point. I did find it difficult to maintain my concentration and was unusually easily diverted away so that might explain my lack of enthusiasm. The writing itself is of a literary style with great sweeps of description and eloquent evocations of art, philosophical concepts and the act of swimming itself. The novel should have been right up my street, but I just could not connect on a satisfactory level. I think Azaustre wants to portray individual alienation within our modern urban societies. I think Jonas' wish to create photography 'showing the stage after the actors have left' so the viewer is unsure whether they will return is reflected in the disappearances of people formerly close to him. However, I didn't understand whether this phenomenon was intended to be real or purely existed within Jonas' own reality. Or was Jonas that was actually disappearing from these other lives and he couldn't see that for himself? After reading the entire novel, I am none the wiser as to what The Swimmers is actually about! I did enjoy several of the chapters as scenes in their own right and Azaustre has written a convincing portrait of a man unsure of his own identity and purpose so this has allowed my overall three star rating. I just wish the overall story arc had been given greater clarity. First performed at Hampstead Theatre in September 2012. 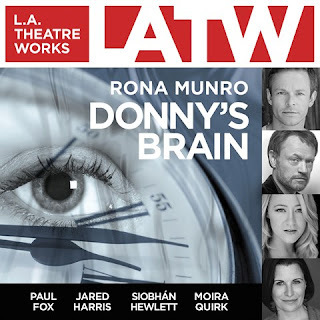 LA Theatre Works audiobook published in January 2016. One of my WorldReads from Scotland. Playwright Rona Munro is Scottish so I am counting Donny's Brain as my fourth book for the 2016 Read Scotland Challenge. Donny's Brain is one of this week's pair of audiobooks from AudioSYNC, an American initiative which offers free-to-download audiobooks, suitable for young adult listeners, throughout the summer. Books are offered two a week for fifteen weeks, usually available from a Thursday until the following Wednesday. Donny's Brain can be downloaded from AudioSYNC for free until the 30th of June and thereafter purchased through the links above. Donny (Jared Harris) has awoken in hospital after a car crash. His head injury resulted in brain damage leaving him with no memory of the past three years. As far as he is concerned this time might as well have not happened. He doesn't recognise his wife of two years, Trish (Siobhan Hewlett) and believes he is still happy in his previous relationship with Emma (Sophie Winkleman), and stepfather to her daughter Fiona (Moira Quirk). Neurologist Al (Paul Fox) is using Donny's situation for research and persuades Emma to visit the hospital. I am now in my third summer of enjoying AudioSYNC's audiobook selection and I think this is also my third LA Theatre Works play from that source. By audiobook standards it is a short listen at just an hour and a half, but packs quite a punch and I found myself wondering just how I would cope in such a situation. The play explores some of the science of our brains, how they work and can repair themselves, but mainly asks questions about how much of our identity is innate and how much simply results from an accumulation of memories and experience. How can someone completely forget love? Or hatred? It's a fascinating premise and an engrossing play which works well as just audio without any visual element. I had no problem identifying who was speaking and found the whole work to be entertaining and thought-provoking. I have enjoyed several Jordan Elizabeth books before so was pleased to be offered a pre-publication copy of Victorian. The story is told from the points of view of two young women, Celeste and Weronika, both of whom have traumatic events in their childhoods. They meet at a Counseling Circle and despite the differences in their outlooks, they swiftly become friends. I liked the realistic way their relationship was portrayed and how Elizabeth gave us time to get to know them before we really ventured into the supernatural element of the story. Other characters weren't so clearly defined so I was still muddling a few names even towards the end, but I felt I understood Celeste and Weronika and could sympathise with their journeys towards emotional healing. The historical Victorian fair is a complete farce of inaccuracies, much like similar ventures over here. Some people go to great lengths to get everything perfect for the period, others don't even seem to have grasped the right century and the whole effect is great fun. I can imagine the exasperation of the organisers and the eventual triumph as it all begins to come together. I am relieved that Elizabeth didn't dwell on the British accents! The fair provides an unusual and interesting backdrop for the ghostly mystery and that is a satisfying tale in itself. Celeste does seem to spend most of her time not actually working for the fair though which I thought someone might have noticed! 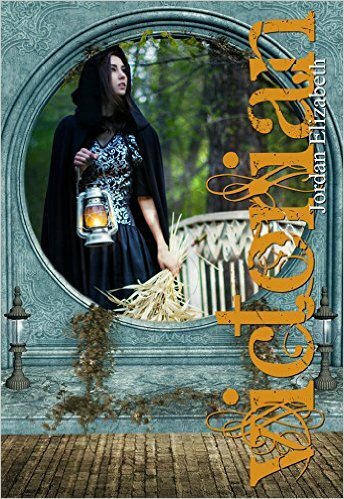 I thought Victorian was a good mystery story with varied cross-genre elements. The potential romance is chaste enough for younger readers although I thought the traumas ultimately revealed by Weronika and Celeste were surprisingly dark for a young adult novel. Originally published in Albanian in 2011 by UET Press. English language edition translated by Robert Elsie. Published by I B Tauris in May 2016. Other than a couple of Kiva loans to entrepreneurs in the country I knew practically nothing about the tiny Balkan country of Albania. 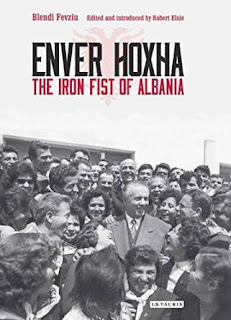 Reading this newly translated biography of its former dictator, Enver Hoxha, has helped me to understand more about their forty year exclusion. Author Blendi Fevziu is an Albanian journalist and the whole book is written in a reportage style, not dry at all, but firmly factual and pragmatic. Where truth is uncertain this is clearly indicated by the language used and many key events, particularly during Hoxha's ascent and early years of power, are now difficult to establish exactly due to his having since ordered the deaths of witnesses who might have refuted his own version. A prolific writer, Hoxha wrote over 70 books during his lifetime many of which apparently were 'revised' versions of his life so, while Fevziu had extensive material from which to research this biography, gleaning the truth must have been incredibly difficult. Hoxha's unremarkable early life and dissolute student years in France seemed a strange beginning for a paranoid dictator. His selection as Communist Party leader was more due to his lack of personal drive meaning that he hadn't alienated any of the factions fighting for control, but once he got the nomination, there was no way he was going to relinquish power and maintained absolute control for forty-one years. An incredible achievement even though he effectively destroyed his country and totally isolated himself in the process. 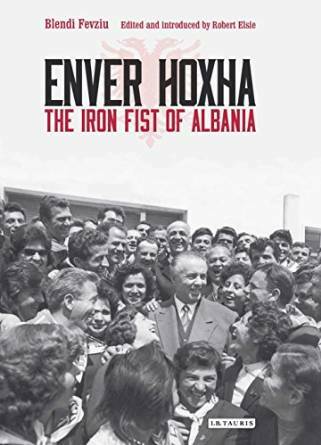 I found Fevziu's biography absolutely fascinating both as a overview history of post-war Albania and as a portrait of Hoxha himself. It was disappointing to learn of underhand British interference and finances helping the Communist regime to establish itself as the war ended (is there anywhere we haven't helped to destroy?). I did find it difficult to keep track of who everybody was, especially during the early chapters when timelines frequently jumped around, but once the narrative settled into a more linear approach, identification became easier. As a cautionary tale against the effects of personality cults and an illustration of how large numbers of people can be convinced to follow self-destructive ideologies, this is an important book. Details of Hoxha's obsessive public relations campaign to present himself as he wanted to be seen and remembered are interestingly similar to celebrity and brand campaigns nowadays and it worked. On its launch a quarter century after Hoxha's 1985 death, some Albanians burned original language copies of this biography in the streets because it dared to criticise their former leader even though he left their country technologically worse off than when he took power, with hundreds dead, thousands imprisoned or interned, and hundreds of thousands starving. Originally published by Secker And Warburg in 1980. Won the James Tait Memorial Prize and the Geoffrey Faber Memorial Prize. One of my WorldReads from South Africa. One of my Top Ten Books of 2016. 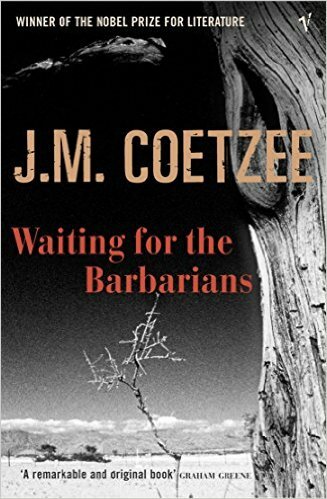 Having been so impressed by Disgrace a few weeks ago, I eagerly snapped up a copy of J M Coetzee's Waiting For The Barbarians when I saw it in a Cheam charity shop. Set in a remote outpost of an unnamed Empire, this powerful novella could be describing events in any Empires throughout hundreds of years of human history or, as I mentioned in yesterday's Gulag 101 review, it could even be an allegorical representation of the whipped up paranoia in Britain right now. The themes of us against them, social exclusion and assumed racial superiority are frighteningly relevant despite Waiting For The Barbarians having been written nearly four decades ago. Our narrator is the Magistrate, an anonymous older man who has spent his life on his Empire's fringes maintaining and administering the official idea of order, but mostly without infringing too deeply on the lives of the indigenous peoples, the 'barbarians', outside his town. I am reminded of Anais Mitchell's prophetic Hadestown song with The Wall here protecting Empire within itself while resolutely keeping all others Out. Trouble arrives with Colonel Joll, a new breed of Empire official who seeks evidence of a barbarian plot to overthrow the Empire. Capturing and viciously torturing local fisherfolk and nomads until they 'reveal' whatever he wants to hear, Joll leaves in his wake not a safer Empire, but angry people who may not have been enemies before, but certainly are now. The Magistrate is revolted by Joll's actions and, on finding himself left to clear up the aftermath, he slowly begins to question what he has seen and previously believed. The gathering pace of this town's rush towards disaster has a poignantly painful inevitability about it. The townspeople, convinced of their invincibility and communally baying for revenge against imagined aggressions, are led into ever increasing paranoia by men who certainly don't have the town's best interests at heart. Any crime is now attributed to the barbarians and fear of 'what could happen if ...' is manipulated until civilians 'see' malevolent barbarians in every shadow. Unconnected peoples are swept into the category of barbarians simply for being different, losing their homes and livelihoods in the process. 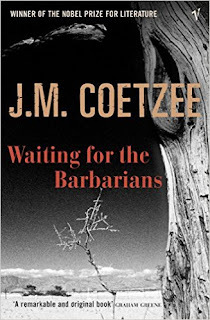 Coetzee does briefly but vividly describe some tortures - there is one scene in particular which squeamish me wishes I could unread - but it is the ease and speed of the psychological manipulation which I found truly shocking. His understanding of human nature is effectively portrayed and his characters are utterly and depressingly believable. I could clearly envisage the walled town surrounded by crop fields, the wide desert with its mountain horizon, the Magistrate's cluttered office and his bare claustrophobic prison cell. I certainly think that Waiting For The Barbarians will be one of my Top Ten Reads come the end of 2016 and I wouldn't be surprised if it has not been surpassed. I have two J M Coetzee novellas - Disgrace and Waiting For The Barbarians - to giveaway simply for answering the following question on this blog post. How easy is that?! 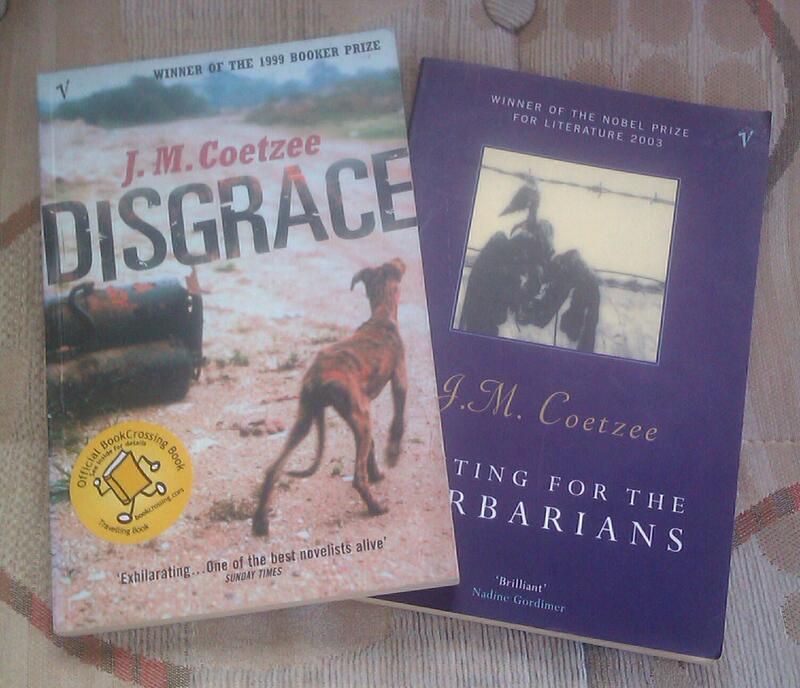 Name another book by a South African author? Comment your answer on this post before midnight (UK time) on the 29th of June to be in with a chance of winning. These two paperback books are my copies so neither are new, but they are still in very good condition. They have both been registered on Bookcrossing and you are welcome to add your stage of their journey or ignore the labels as you prefer. The Giveaway is open worldwide. Answers must be commented by midnight (UK time) on the 29th June and I will randomly pick a winner on the 30th. The winner will be notified by replying to their Comment so if you think you might miss this response please also include other contact info such as your blog URL, twitter name or FB page. If the winner does not respond within 7 days, they will forfeit the prize. 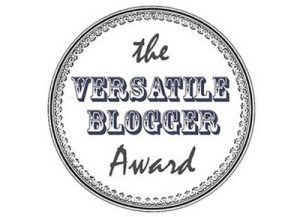 Three weeks of Literary Flits blogging have just about passed us by already and I think it is high time I reviewed some poetry! I am very happy to start with Nico Reznick's second collection, Gulag 101. 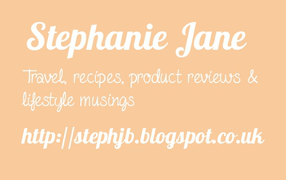 I have already reviewed her first poetry collection, Over Glassy Horizons, and her first novel, Anhedonia, over on Stephanie Jane and have been looking forward to exploring more of her work. Gulag 101 is also a twenty-six poem collection and, unlike Over Glassy Horizons, I don't think I missed the point on a single poem here! I love Reznick's evocative imagery which presents familiar and often mundane concepts, but from her own distinctive viewpoint to show up their inherent madness. Slow Death Among The Toner Cartridges and Life Among Vampires certainly hit home with me. As the last line of the first poem, Talking Small, says, 'Can't we talk just a little bit bigger than this?' and I thought that one line perfectly sums up many of the other poems. We are all so much more than vehicles for inane consumerism and hamster-wheel lives, although reaching for the deific heights of felines is probably overly optimistic. I like the anger of Rejection and its immediate contrast to the world-weariness of Laureate. The King Of Sutton Park is a beautiful lament to ageing and our society's lack of connection with elderly people, and I loved the sordid vulnerability in Lenka. While reading both The New Breed and Reptiles As A Metaphor I found myself in the weird situation of having identical thoughts about two books read back to back. The thought was 'how apt these words are for the current Brexit hysteria' even though they weren't written directly about it. (The other book was Waiting For The Barbarians which I will be reviewing tomorrow) In these two poems Reznick nails exactly what is unsettling about our political elite! 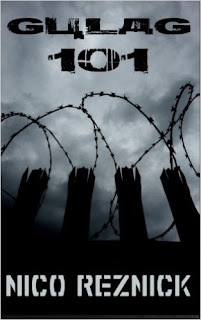 I think Gulag 101 is a strong collection of contemporary poetry with a lot to say about life in 2010s Britain. Nothing rhymes, but the poems have an insistent and effective rhythm and pace which I loved, especially when reading them aloud. Translated by Alison Anderson. Published in English in May 2016 by Gallic Books. I am not sure when or if a French edition was published as I could only track down the English translation. This seems to have first been published by Europa Editions in February 2016. 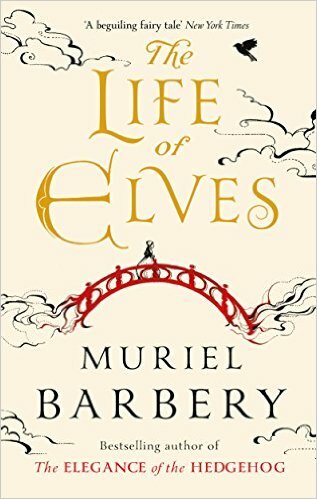 The Life Of Elves is very different to Barbery's previous novels such as The Elegance Of The Hedgehog which I have noticed upset other reviewers. I couldn't actually remember much about the former book, other than being very impressed by it, and I think it helped me not to have any preconceptions. Set in a timeless France and Italy, the story revolves around the mystical connection between two young girls. Maria was abandoned in a French village as a baby, the only clue to her origins being two Spanish words embroidered onto her wraps. Clara was brought up in Italy and finds herself a child prodigy pianist. I loved Barbery's descriptions of music and the evocations of sound. Clara's flights of imagination at these points, seeing mountains and streams or the stone cages that are cities intricately woven through the melodies she plays, are superbly written and some of the most visionary prose passages I have ever read. This alone is the reason why I would urge people to buy The Life Of Elves. However, alongside such beauty also comes frustration as, even after finishing it, I still don't really know what this book is about. 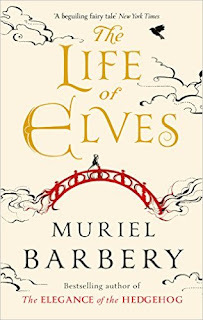 Supernatural beings in the form of Elves have come into the human world and Maria's village comes under attack, but I never understood why or even really who by. Perhaps experienced readers of fantasy novels would find the overriding story ar so obvious that Barbery felt she didn't need to make it explicit. Personally, at the time, I was happy to simply be swept along in the whirl of words, but now I am trying to write a review I think it would have been nice to have known exactly what was going on! First published as Umut by Everest in Turkey in 2008. English translation by Kenneth Dakan published by Amazon Crossing in 2016. 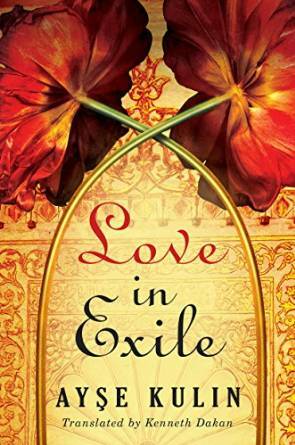 Kulin takes as her starting point the birth of her father in 1903 and ends with her own birth in 1941 so much of Love In Exile has autobiographical roots although the storyline itself is heavily fictionalised. Both babies were born in the city of Istanbul, but to vastly different worlds - one sees the final years of the powerful Ottoman Empire, the other joins the vibrant new Republic of Turkey - and it is these incredible changes over less than four decades which provide the fascinating backdrop to Love In Exile. We meet very traditional Bosnian Muslim grandparents who just managed to escape persecution in their homeland and now struggle to cope with Turkey's rapid modernisation and radical ideas such as open male-female friendships, a new alphabet and Birthday parties. We also see Armenian Christians who, also exiled to Istanbul, are essentially in the same situation, but are distrusted in their new land. This portrait of a country in transition reminded me of Chinua Achebe's No Longer At Ease where he shows Nigeria exchanging Empire for Independence. The Love of the title refers to many types of love and it was this exploration that I enjoyed most about the book. Love for country is demonstrated by agonising homesickness for lands left behind and, in the next generation, by overwhelming dedication to creating the new Republic. Love is also shown within families and especially where multiple generations cohabit within the same house - admittedly a mansion - we see exceptional personal sacrifices alongside misunderstandings and the grief of loss. Romantic love provides two of the strongest narrative threads. We follow the forbidden love of Muslim Sabahat and Christian Aram and, later, the surprise match of Muhittin and Sitare. I would have liked Sabahat and Aram's relationship to be fully explored. Instead they are central for much of the novel before becoming lost amongst the many other characters and stories. Despite family trees at the beginning, I did often lose track of who people were and how they related to each other. Large extended families are the norm and honorifics are frequently used in place of given names. I wasn't always engrossed in Love In Exile which is why it is only rated at three stars although I am still wavering between three and four. Some characters and storylines caught my imagination whereas others failed to do so. I wanted to know more about the older people - what life Saraylihanim led before her senility and how Mahir coped with his wife's obsessional behaviour. However this is a good introduction to the turmoil of early 20th century Turkey and I would certainly like to discover more about the country at this time. Published by Karenzo Media on the 4th June 2014. 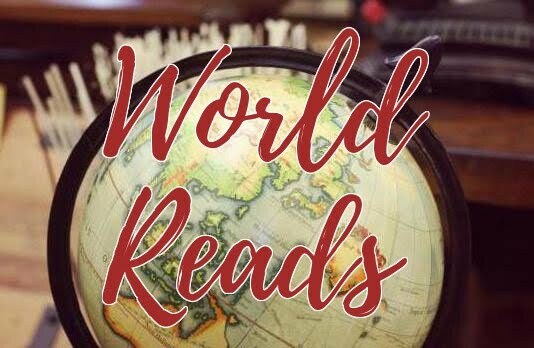 One of my WorldReads from Canada. I discovered Gotta Find A Home on twitter where its author posts as @DennisCardiff. I will admit that I am one of those who generally averts their eyes when I notice beggars on the street so, other than the usual political platitudes, I know very little about the people themselves. Intrigued by Dennis' synopsis, I bought his book. All the profits from Gotta Find A Home are donated to homelessness alleviation projects in Toronto so I thought even if I didn't like the read, I was doing a good thing with its purchase. As it turned out, this is a pretty fascinating book. 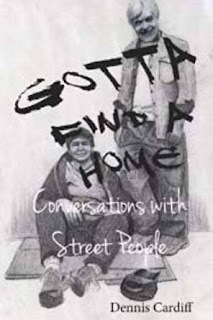 Written in diary form, Dennis recounts daily conversations he has had with members of a fluctuating group of homeless panhandlers (beggars) who live near to where he works in Toronto. Conversations aren't recorded, but related from memory, so I did find the speaking style a little odd to begin with. What surprised me most though was the lack of a stereotype within the group. These people are of all ages from their twenties to their sixties (although many will die much younger than they might if they weren't homeless) some are abuse victims but not all, some are alcoholics or drug addicts but not all, some have a university education while others can barely write, some are mentally disturbed while others are highly intelligent and articulate. There is apparently no such thing as A Typical Homeless Person. Dennis makes no claims to have the answers to homelessness, neither does he defend or vilify the behaviour and actions of the people about whom he writes. Instead he simply presents their day-to-day lives and leaves us readers to make our own decisions. Formerly anonymous grey shapes, as appear in every town in Britain in the same circumstances as in Canada, now define themselves into 'normal people' (if you'll excuse that phrase). This is Joy. This is Ian. This is Hippo. This is Lucy. They talk about their friends and relationships, what they might have for dinner, how much they've earned today, and whether there is enough to pay the rent. Then they mention an acquaintance who had his teeth kicked out and another who was doused in gasoline and set alight. I think Gotta Find A Home would make a very interesting Book Club choice as I found my assumptions being challenged, but without my being made to feel defensive or hectored. I would definitely like to hear opinions from other readers as I hope that this memoir will remain memorable for me. Published on the 3rd May 2016 by Lake Union Publishing. As a non-maternal woman I wasn't sure how I would get on reading a book about babies! I am interested in the moral dilemma of paid surrogacy though and found A House For Happy Mothers to be a fascinating insight with compelling perspectives from both sides. 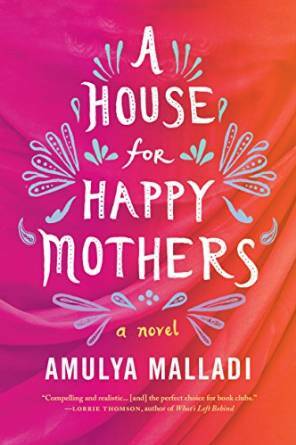 Malladi takes time to show us all aspects of her characters and their families, their motives for undertaking surrogacy and the reactions from their friends and families. The irony of the title nicely sums up the whole novel as no one, with the possible exception of the profiteering doctor, seems happy at all and I am still as undecided about the issue now as I was before I started reading, but at least now I feel much better informed. Asha should have the right to be paid to be a surrogate mother if she chooses to, but is it really a free choice when her family would otherwise live in such poverty? Priya and Madhu couldn't have a child who is genetically their own any other way, but when so many babies face growing up without any semblance of family, isn't adoption a more socially valuable choice? Is having that genetic link worth all this emotional upheaval? 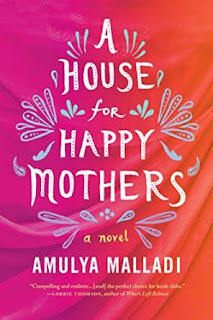 I thoroughly enjoyed reading A House For Happy Mothers right up until the last couple of pages where the prose suddenly becomes unrealistically schmaltzy for the sake of a happy ending. The synopsis is wrong in that the women, Priya and Asha, aren't in this 'together', but I appreciated reading their views of Asha's pregnancy and what the outcome would mean for each of them. Malladi manages to make both circumstances utterly convincing and I always wanted to find out what would happen even though I didn't agree with everything that was said or thought. 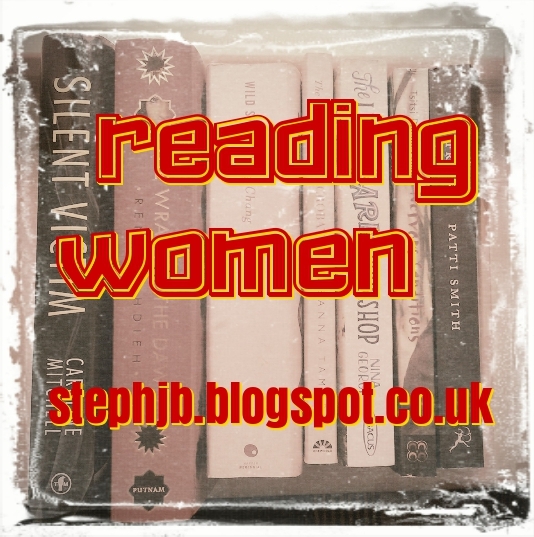 I would definitely suggest A House For Happy Mothers as a great Book Club choice as there would be a lot to consider and discuss, although I could see discussions getting heated! 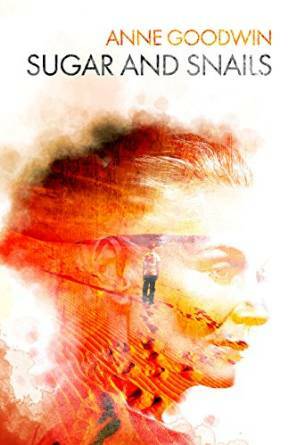 Anne Goodwin kindly got in touch with me via Goodreads last summer to offer a preview copy of her (then) new novel, Sugar And Snails, which I excitedly accepted. I already enjoyed her thoughtful and insightful blog posts so had high hopes for the novel - and I wasn't disappointed! For reviewing purposes, I am finding it difficult to write freely about the book for the same reason as I had when discussing We Are All Completely Beside Ourselves. I came to Sugar And Snails effectively ignorant of the main plot idea and don't want to be the one to give it away to other potential readers. Therefore please excuse my vagueness! I don't think the story would be ruined by advance knowledge, but I definitely appreciated making the discovery myself! I can wax lyrical about character portrayal and development which are always important to me. Goodwin obviously has a great empathy for Diana whom I did not always like, but continually found myself rooting for. It takes really good writing to pull that off! Her childhood reminiscences were as convincing as her adult life and by the end of the book I fully understood how the child had grown into the woman. I appreciated that the multi-racial cast didn't exist to make any heavy political point, just to reflect Diana's social group. I did find the abrupt failures to reveal What Happened In Cairo somewhat coy and irritating during the first third of Sugar And Snails. However once once the full tale began to wind and unwind itself, this was a strong and interesting read. It's northern England university setting made a refreshing change from the fictional Oxbridge norm and I loved the flashes of dialect, especially from the children. Originally published in 2008. English translation by Victoria Cribb published in 2011. Shortlisted for the 2012 Independent Foreign Fiction Prize and the 2013 International IMPAC Dublin Literary Award. The year is 1635. Iceland is a world darkened by superstition, poverty and cruelty. Men of science marvel over a unicorn's horn, poor folk worship the Virgin in secret and both books and men are burnt. Jonas Palmason, a poet and self-taught healer, has been condemned to exile for heretical conduct, having fallen foul of the local magistrate. Banished to a barren island, Jonas recalls his exorcism of a walking corpse on the remote Snjafjöll coast, the frenzied massacre of innocent Basque whalers at the hands of local villagers, and the deaths of three of his children. 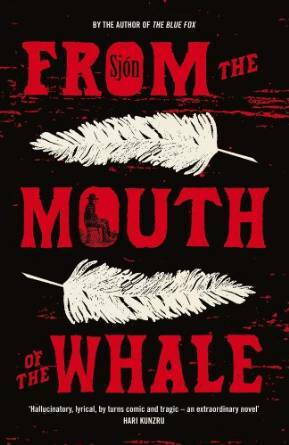 From the Mouth of the Whale is a magical evocation of an enlightened mind and a vanished age. 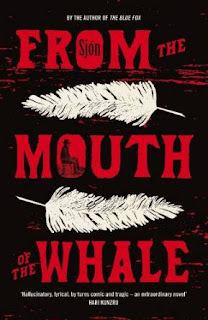 In From The Mouth Of The Whale Sjon blends fact with fiction to produce a bewildering portrait of 1600s Iceland. Genuine historical figure Jon Gudmundsson the Learned really did exist, did marry as astronomer wife and did witness the massacre of Basque whalers. Here he is imagined as Jonas Palmasson, a boy prodigy who becomes a learned man and is ostracised by his community. Outlawed and isolated on a tiny island off Iceland's coast, he must survive as best he can without any help and bereft of his library, but eventually with the company of his wife. We see the story through Jonas' eyes and it is difficult to tell what is truth, what would have been seen as truth four centuries ago, and what is delusion within Jonas' mind. I was fascinated by scenes such as the devout Catholic village unearthing their banned idols in order to worship them and the text is dotted with short textbook extracts describing the bizarre properties believed of plants and animals. Jumping around in place and time, I was able to piece together Jonas' memories to make sense of his life and the politics of his time. Having visited Iceland, I was easily able to imagine locations such as Thingvallir parliament, but I would have liked more detail in some of the descriptive passages. From The Mouth Of The Whale cleverly brings historic Iceland to life and I would be interested to read more of Sjon's work. 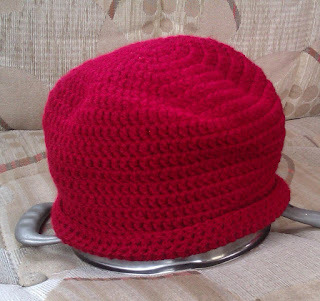 I have a unique handmade Red Beanie Hat to giveaway simply for answering the following question on this blog post. How easy is that?! Name a book which is set somewhere really cold? Comment your answer on this post before midnight (UK time) on the 22nd of June to be in with a chance of winning. The Giveaway is open worldwide. Answers must be commented by midnight (UK time) on the 22nd June and I will randomly pick a winner on the 23rd. The winner will be notified by replying to their Comment so if you think you might miss this response please also include other contact info such as your blog URL, twitter name or FB page. If the winner does not respond within 7 days, they will forfeit the prize and I will re-offer the hat in another giveaway. First published as Der Duft von Bergamotte by Amazon Publishing in Germany in 2014. English translation by Jennifer Marquart published by Amazon Crossing in 2015. Shuttered Life is a short novel which I easily read in a couple of hours. It starts with our narrator, Elisa, being forced off the road while driving in a rainstorm. She doesn't know who deliberately drove their car into hers and our story jumps back in time to lead us round in a complete circle before we find out. We see most of the story from Elisa's point of view except for italicised glimpses of her attacker's thoughts. I wasn't convinced by this device as the thoughts are repetitive and I didn't think the language used was effective for ramping up tension. The Westphal family make for a pretty large cast. They all behave oddly leading each to be a possible suspect to Elisa, but none are actually presented as fully created characters so it was difficult for me to understand or empathise with their revelations and motives. The whole book struck me as young adult because it is simply written. There isn't much in the way of description and, for me, far too much emphasis was put on Elisa's long-running crush on David. Incidents are too easily brushed off and opportunities to make more of the mysterious notes were squandered. 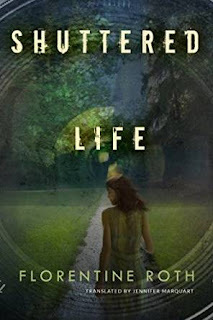 Shuttered Life is an ok read, but overall I thought the whole book felt rushed and lacked atmosphere and excitement. In King Arthur Goes To Wembley, two schoolboys, Thomas and Marc, stumble across the enchanted resting place of King Arthur and the Knights of the Round Table while searching for their lost football. Due to a misunderstanding, the awoken King Arthur believes that the ‘Honour of England’ is at stake in a forthcoming international football match. He commands the children to teach ‘the beautiful game’ to the men from Camelot so they can play for England against the world champions! The story was inspired by the lionisation of present-day Premiership footballers. Jake believes that, if the ancient legends were true, the Knights would have been treated in the same way and there are distinct parallels between the two cultures. He says. “The idea that the finest knights in all the world might just be the finest natural athletes too is only one step away from imagining that, maybe, they could also be great footballers. 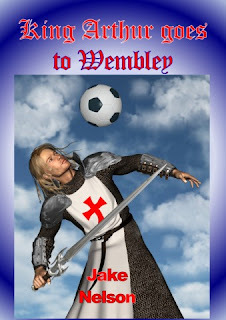 Although King Arthur Goes To Wembley is ostensibly a children's book, I enjoyed reading it. The intricacies of the football scenes were lost on me, but the story keeps up a great pace and I particularly liked the characterisation of Merlin and ideas such as the light bulbs' treatment! I also think that, if the right narrator was found, this story would make an excellent audio book. Whole Story audiobook published in July 2010, now available as Recorded Books audiobook published in February 2015. 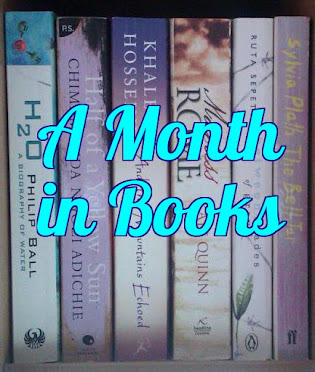 One of my WorldReads - Nigeria book choices. I originally listened to No Longer At Ease in February 2013 and return to it again last month. The download is narrated by Peter Jay Fernandez who does a pretty good job although his British and Irish accents are mangled at times. I don't know Nigerian accents well enough to tell if those are accurate or not. No Longer At Ease is the story of Obi Okonkwo, a talented young man whose village, Umuofia, clubbed together to pay for him to be the first from there to study in England - a fantastic honour. The village did want Obi to study law in order to further their interests legally and Obi switched courses to study English literature, but a university degree is still something to be very proud of and Umuofia welcomes back their son with celebrations. Swept along by expectations Obi lands himself a prized government job at the ministry dealing with scholarships, an apartment in a formerly whites-only enclave, a new Morris car and the fantastic salary of seventy pounds a month. It's all obtained fairly, above board and Obi feels he represents the new face of Nigeria. 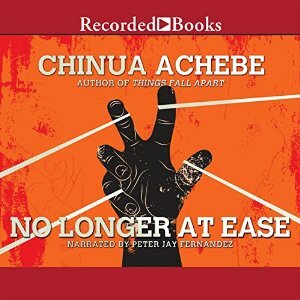 I loved how Achebe chips away at Obi's naive beliefs and expectations for his life. We know from the very beginning of the story that he will be shamed by bribe-taking, but his downfall is so cleverly portrayed that I felt sorry for him and completely understood his predicament. 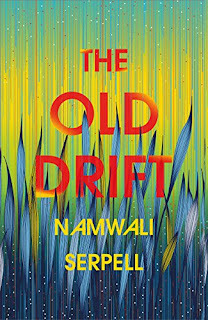 Torn in many directions, Obi finds himself not only standing against matter-of-course corruption, but also small town views opposing Lagos city experiences, and ancient beliefs still strong under the veneer of his Christian upbringing. The scholarship was actually a loan that must be repaid and keeping up appearances in the city is pricey; his younger brother's school fees compete with those of his mother's hospital; his white boss repeatedly undermines Obi and his country; his girlfriend is of a forbidden caste; and then bills that he never imagined existed begin to pile up. From wonderful initial hope, No Longer At Ease is a portrayal of culture clashes between races, generations and belief systems and provides a valuable insight into how strong people need to be to live between all of those stools.